It’s a new year and one of the most common resolutions is to spend less, save more, or get out of debt. Those are all great things, but are you neglecting these four commonly forgotten financial musts? Tune in to find out where you stand! What current statistics show about financial literacy in schools here in the U.S. and what this means for you. It is your turn. Which of the four areas were you able to mark off “in progress” or “complete”? Be sure to let us know in the comments section below. 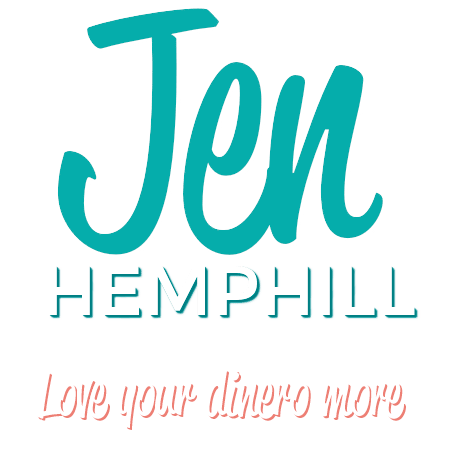 [0:00:26] JH: Hey there, this is Jen Hemphill. Welcome to the first episode of 2016. I can’t believe it’s here. I really want to thank you for tuning in. It’s definitely a new year and usually New Year’s, there’s always talk about resolutions and the most top column resolutions tend to be all revolving around saving more and spending less. And of course, others want to get out of debt, save more for retirement, build out emergency fund up, live on less than what they make and maybe something about building or repairing their credits, saving for college, those types of things. But there are four commonly forgotten details. Four commonly forgotten musts that we tend to neglect and I’m going to share what these four are in this episode. So in today’s episode, I’m going to talk about what the current statistic show about financial literacy in schools here in the United States because I know we have international listeners and what this means for you, and what conversation we need to start having with our siblings and appropriate family members, so I’ll get into that. One simple reoccurring reminder that you can put in your calendar that can save your family agony in the future. It’s just really, really super simple and how the one word “specific” can change the outcome of our actions with our money. And on top of that, I also have a very special invite for you that I will share at the end of the episode. I know I’m making you go through that episode before I share the invite so just make sure to stay to the end. Of course, if you fast forward to the end, I won’t know about it unless you tell me but I do really, really encourage you to listen to today’s episode. It’s got some good stuff in it. Before I get into it, I want to share with you a little something. In the Hew Money Matters Facebook group, in the community we recently just to kick off the community, we had a contest in the month of December just to celebrate the new group, the new community and it was just based on points and all came to how you participated in the group conversation. It was a lot of fun, we got to know each other, it was a blast and I gave away some prices. I gave away a one on one coaching session, I also gave away three months in this invite that I’m going to share with you on this new program that I’m going to share with you and I also gave away a copy of The Total Money Makeover book by Dave Ramsey. So I want to congratulate Irene, Danielle and Laura as they were the three lucky winners in the group. So let’s go ahead in getting to today’s episode. I know I mentioned this is what we’re talking about, the four commonly neglected must do’s, some things we don’t really think about or we consider but then forgot about because maybe the debt, you’re more focused on paying off debt or some other things that have to do with your finances. But there are four things and as I go through these four things, I want you to think about if A, you have completed it, if it’s something that’s been in progress and you have or you have completely neglected it and that’s something that you have to start on. Number one is teaching your kids about money. Even though in schools it’s getting better, it’s really a fact that personal finance is rarely are taught in schools. Let me give you some stats on financial literacy in schools. Back in 1998, which is really less than 20 years ago, financial education was offered only in the State of Illinois here in the US. It was just part of a consumer education class and no testing was required. So who knows how much content, how much information was being taught but that was less than 20 years ago. Only one state and that was the State of Illinois. In the show notes, I’ll share with you the links of those surveys so if you want to take a look, I’m more than happy to share those links to that where you could take a look and see where I got my information from because I am definitely not making this up. Then, as of 2014, there are now 17 states. I’m not sure as of 2015 because that survey has not been released but as of 2014, there are 17 states which either A, requires students to take personal finance or they require that personal finance be included in the economics or civics course and it is a High School graduation requirement in these 17 states. Out of these 17 states, there are six states only that require some sort of testing on it and I will share with you the survey so you can see if your state is one of those 17 states or even one of those six states that require the testing. My point here is, you can take matters into your own hands even if you may not feel good about your own money skills or maybe you’re lacking some confidence with teaching your own kids about money. But really, no matter the age that they are, there is always something that you can teach them. I’m going to share with you, there is a website, a great, great resource. It’s a free resource for teaching kids appropriate — what you can teach them at the different age levels that’s appropriate for them but of course, just use that as a guideline as you know your child best. You know if they’re ready for that concept or not. So the website and I’ll put it on the show notes is Moneyasyougrow.org and it will tell you the concepts you can teach them and it even gives you activities that you can do with them that go along with those concepts. So for example, for a three year old, you can start teaching them the concept that to buy things, you need money. And chances are, you’ve done this if you have older kids or you currently have a toddler but as they get older, there’s other things that you can teach them and that’s where a lot of parents stop. Maybe early on in their early days, they do things just unconsciously that’s something we just do, just the innate parenting that we do. But later on in life or one day become teens, we don’t always necessarily talk about those things. So for a teenager let’s say, if you have a teen and that they have a job, you can discuss the paycheck, you can discuss the taxes that are taken out, the tax bracket that they fall under, what taxes pay for, maybe doing automated savings, things of that sort. So make sure that you check out that resource. I do urge you that don’t necessarily rely on the schools. If you have a school that is amazing with this component of financial literacy, that’s awesome. If you don’t, that’s something that you completely can do yourself and I’ve given you a great resource that you can look at that will help you. Number two on the list is caring for elderly parents. I know this may be a cultural thing or it depends on family dynamics but it’s no secret that people are living longer and longer and we really need to start having that conversation with our siblings in terms of who’s going to do what if this happens, just having this hypothetical situations. So when things do happen or whatever the case, you’re ready. So you need to know who’s going to take care of stuff financially, physically, those things and I understand family dynamics are different with each family but that conversation definitely needs to happen. If your father or mother is no longer able to do things independently, those type of things, we just have to have that conversation so we’re prepared if in case it happens, those type of things. The other thing that I also want to share with you is, this part is a personal memo to me because I haven’t really had that conversation. I have a brother but we haven’t had that conversation but I have started with my husband, we have started that conversation and it’s also to have that conversation because of course, part of the conversation is involving your parents. So you know their wishes, you know what they want so you can honor those wishes and there’s so many options out there. You need to be in the know as well of what’s out there for the resources depending on their needs because nowadays, there’s all sorts of things. It used to be you just relied on nursing homes but not everybody needs a nursing home. So there’s retirement communities for those who are fully independent. There is assisted living for those that are independent to a certain extent but may need help in other areas. There’s the home services for those that are needing nursing care at home. There’s all sorts of things so those things are something that you just need to start researching so you know for yourself what’s out there. In the case that it is needed later on, you can have that conversation already with your siblings, with your parents and get those conversations going so you know how much those things cost and what things you are going to be needing in the future so you know what to expect basically is what I’m trying to say. So that’s the second thing that is really commonly forgotten about. And I’m not saying everybody but it’s something that we don’t like to think about is our parents. That we just don’t tend to think about it and it’s a last minute thing which can cause a lot of stress and confusion and just unnecessary stress with the family. So that’s number two. But with a world of the internet, there are so many options and here’s the thing, we know that we’re not going to be here forever. But we don’t know when we are going to leave this world and we need to leave our family ready for when we do. So unfortunately when someone passes away in the family, if you’ve experienced this it gets super emotional, it can get a little crazy and greed can come into picture and it all depends on the family dynamics. So it’s really important to have your will in order. It’s really important to think about and do an advanced directive and that’s basically documents such as a living will, health care power of attorney. Those type of documents that gives instruction on health care should you not be able to make those decisions by yourself. And I will give you a link, a resource actually from a good source. AARP, where you can actually download some printable advance care directives depending on your state so I thought it was a good resource. So do your own diligence, I’m definitely not a lawyer. When looking for these if you look for these online, so you’ve got to weigh the pros and cons of doing online versions versus using an attorney. You can also research organizations in your area that may do them without the high costs of an attorney. You really want to explore all your options but it’s important to get these things done. The other important aspect of this is to not just do these and forget about them but you need to update as needed. You just can’t let it go because you have to keep in mind that life happens. You’ve probably have heard those stories where wills weren’t updated, maybe there was a divorce involved prior to the passing of the person and then the ex-spouse was still on the will and got maybe the money from life insurance or things of that sorts. So make sure of that. This is really a super simple fix. One, get the paperwork done. That is probably the most complicated because you’ve got to find a place or just pick the right documentation for you but it’s really super simple. Once that is done, then you just put a reoccurring reminder on your calendar that every year on a certain date and month, that reminder is going to go off and you can ask yourself, “Has anything drastic happened or changed in this year that I should consider changing the will?” It’s just a simple reminder but it’s something that absolutely needs to be done just to be on the safe side. So that’s the third one. The fourth on the list is really critical, it’s getting a clear vision on what you want your life to look like. This is super important because most of us are stuck on saving more, spending less, getting out of debt, saving enough for retirement and you may think, “well that’s a good thing” but here’s the thing, we need to be more specific and clear in this area because that’s what’s going to drive your commitment level to get out of debt, to save more, to spend less. Everything above just because it’s a more exciting and more motivating when you’re super specific. I will share with you examples so you see what I mean. There are various ways of doing this and of course, my way is not the only option. This is just one way. The important thing is to be very clear and specific with your vision. For some of you, it might be really scary to look far into the future and that’s okay. You can think in terms of a short term version. Let’s talk about a short term version. Let’s do two examples. I’m going to do a generic example and a specific example and then I want you to think about what’s more exciting about the two or which one is more exciting. Let’s say one short term vision could be “save more by the end of the year”. That’s generic right? Or short term vision can be “save” and enter a specific number, let’s say, “Save $5,000 by the end of the year so that we can have a better emergency cushion and not have to go into debt when an emergency comes up.” So let’s be honest here, which one excites you more? It is probably the last one right? Because it’s more specific, because having that emergency cushion is going to give you that peace of mind. So that’s what I’m talking about getting clear and specific. So if you have that specific short term vision, you’re going to be more motivated and you’re going to be more prone to take action on that goal. ‘Cause if you say, “Oh, I’m going to save more,” it’s not really specific. It’s not going to drive you necessarily to take action or maybe some months you’ll save more and other months you don’t but if you know that by the end of the year that’s you vision that you want to have $5,000 in the emergency fund, then your mind is going to be actively working towards that and you taking action as well. As far as long term vision, it could be less of a generic one. So a generic one can be, “have enough retirement to live comfortably.” Okay, that’s good and all but what if you can do a long term vision or think in terms of, this is just an example, “Retire with enough to live on a $5,000 annual salary.” Meaning like if you still were working and making $50,000, that’s going to be comfortable to live on or maybe a $100,000 salary. It really all depends on what’s comfortable for you whatever your current salary is like maybe and you’re comfortable with that. So that’s where the specific part comes in. Another part could be, have two homes. Let’s say retire with enough to live on with $5,000 annual salary, have two homes, one to live on Florida for six months and one home in your current place to live in the remainder of the six months. So which of those two is more exciting? It’s the second one because it’s more specific and it’s clear. So that’s going to drive you. If you know that’s what it’s going to look like, you’re going to look at how you can get there versus, “Well, I just want to have enough.” What does that look like for you? What is enough and what allows you to live comfortably. That way, you can talk to a financial planner for them to help you get there. So I will share with you my short term vision. I would say our short term vision but my husband and I still go back and forth at times and we’re still working on our long term vision. For the short term vision, I want to increase our savings that we’re currently putting away for retirement by another 10% and figure out the best way to save or invest our money for our forever home. We’re military so we move around a lot so our forever home is whenever we’re completely done with the military and we’d be buying it so that we know that maybe in four to eight years, it all depends on what happens in the next years, that’s when we would be buying, purchasing our forever homes. So again, it’s increasing the retirement by 10% and figuring out which involves research in our options, talking to a financial planner and those type of things to see what is the best way that we can save this money for our forever home so we can have it in four to eight years. So I wanted to share that with you. So basically, those are the four things that you don’t want to be neglecting and they’re the four must do’s that are just commonly we forget about them. I hope you found that of value. So let’s go ahead and recap the main points of the show. We talked about what the current statistics show about financial literacy and the schools here in the United States and what you can do about it. What you can do about it is, taking matters into your own hands and teaching your child. I gave you a tool, a resource, a free resource that you can use to help you guide. What you can do activities, what you can teach them depending on the age level or at their age. We also talk about what conversation we need to start having with our siblings and appropriate family members and that really is taking care of our parents like who’s going to be responsible for what and all those details. There is a lot of details to think about. So that you can prevent agony if maybe your marital status changed or whatever the case maybe. Then we also talked about how the one word specific can change the outcome of our actions with our money. So we talked about short term vision and long term vision. We talked about different examples of how a simple short term vision that’s not specific versus a very specific vision. How that’s more exciting, that’s more motivating and it gives you and propels you into action. That is it. So think about out of the four areas that I’ve talked about. How many can you mark off as complete or maybe in progress? Because chances are, you have already worked on some of these and I challenge you to put if there’s one that you haven’t’ worked on or maybe all of the four doesn’t matter, it’s about today and what we can start doing today. Forget what hasn’t happen in the past but I challenge you to put at least one of the four into action in the next week. That’s my challenge for you today. Now, I know I mentioned earlier about a special invite. So I’m going to talk to you quickly about that now and my invite is for you if you are tired of feeling and stuck with your money. If you are just fed up with your budget, if you are just really in dire need to take control of your debt and it’s driving you crazy, if you want to have more money so you can have more fun without any guilt, if you no longer want to feel broke, if just money is a struggle of yours and you need some support, some guidance, some accountability, I have the solution for you. It’s my brand new Fearless Money Sisterhood Membership Program. We have monthly calls and we have a private Facebook group. We have members only content, resources, classes and tools. And inside the membership, a site to help you overcome your money challenges and what’s great is that you can try it out for a whole 30 days for just one dollar. After that, it’s $25 a month but that’s not all because I like looking out for you and on day 25 out of those 30 days that you’ll be trying this out, you’ll receive an e-mail from me just reminding you that the 30 day trials are almost over and at that point, when you receive the e-mail, you can do one of two things. One, you can do absolutely nothing because you want to continue enjoying the program. Or two, you can simply reply with a “please cancel this”. No questions asked and we’ll take care of the rest and you can check out the details at jenhemphill.com/dollar. So I can’t wait to see you there. That is a wrap for today’s episode. I want to thank you for taking the time out of your busy schedule to tune into the show. 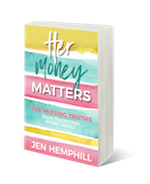 You can check out the show notes at Jenhemphill.com/32 for all the links that I mentioned including the Fearless Money Sisterhood, s link so you can refer to all of that in the show notes at jenhemphill.com/32. I really want to thank you again for listening, for tuning in, for all your support and I will see you again next Thursday.